The Swedish one might be a very rare British issue (but Ocham says not)- I've heard of a two examples with British 'broad-arrow' markings. 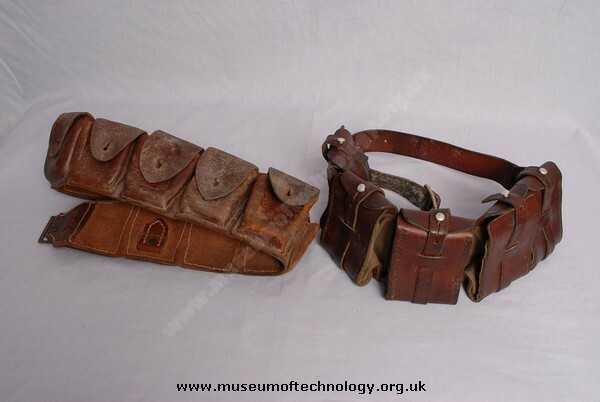 The other bandier is almost certainly not British either, certainly not 1901 pattern (the 1st to have pouches for ammunition in chargers) - all British belts have the male end on the right, and none had attachments on the inner surfaces. Barry is correct. The bandoleer on the right is for the Swedish mauser. I think the bandolier on the right is Swedish.